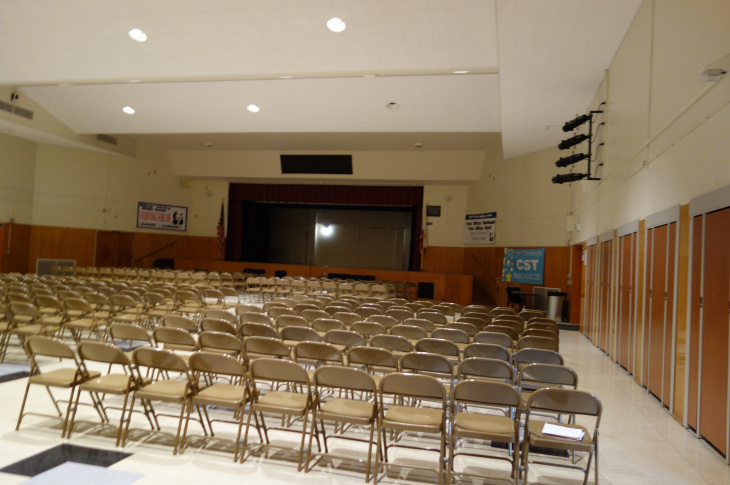 The multipurpose room at Olive Vista Middle School was made of tilt-up concrete slabs, placing it on the LAUSD's 19-building list of structures most at risk of collapse in an earthquake. It is due to be demolished and replaced by 2019. The large mural on the Olive Vista Middle School's multipurpose room carries a painted list of those who contributed to the massive artwork. The building is to be torn down and replaced by 2019. This lunch shelter is attached to the tilt-up construction multipurpose room at Olive Vista Middle School and is to the torn down and replaced as part of a $41 million program of seismic upgrades on campus. 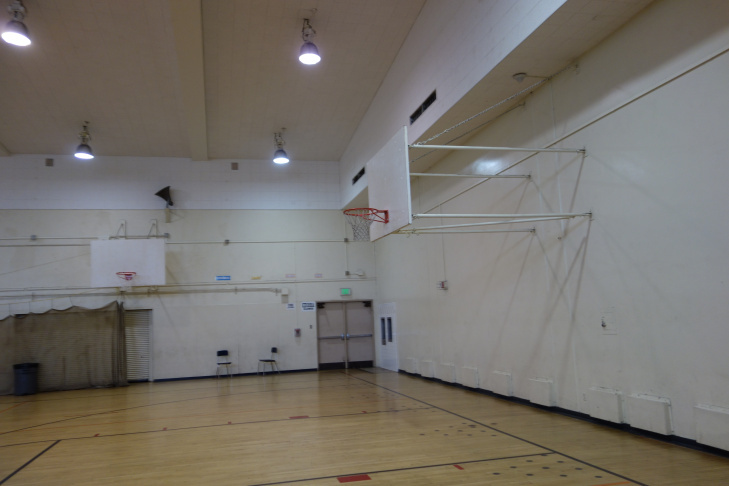 The gymnasium at Olive Vista Middle School is built of tilt-up concrete slabs, and is due to be torn down and replaced by 2019 as part of a $41 million project on campus. The Los Angeles Unified School District spent $19 million retrofitting 17 of its most seismically vulnerable buildings, but it will spend more than twice that amount on the last two buildings on its high-risk list — the gym and multipurpose room at Olive Vista Middle School in Sylmar. The $41.1 million project to tear down and rebuild the two buildings is part of a $153 million bundle of seismic fixes the Board of Education approved last June. The Los Angeles Unified School District has spent more than $400 million dollars retrofitting schools to make them safer during earthquakes. At least another $600 million will be needed to complete needed upgrades, said Roger Finstad, director of LAUSD Maintenance and Operations. 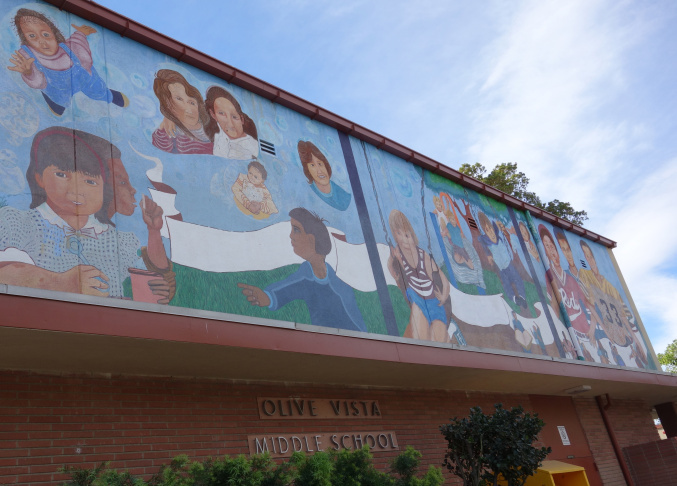 It's taken more than a decade and a couple of false starts to get the Olive Vista project to the point it is today — with district planners poised to design new buildings for the sixth through eighth graders. 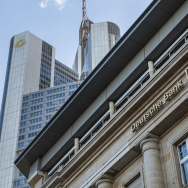 Demolition is likely to begin in 2016. The new gym and multipurpose building won't be occupied until early 2019. That delay worried Bertha Mendoza, who recently waited at the curb to pick up her granddaughter. "Yeah, it's taken them a long time to fix those two buildings. 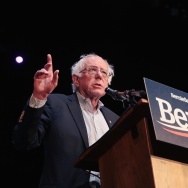 They should consider the safety of the kids," Mendoza said. "You know, living out here in Southern California, we never know when the big one's going to hit." The gym and multipurpose building at Olive Vista went up in 1958. They're made of concrete slabs that were poured flat and then tilted up and fastened to adjoining walls. That tilt-up slab construction landed the buildings on the district's list of the 19 most seismically vulnerable buildings in 2003. Tilt-up slabs can buckle in intense shaking. Olive Vista Principal Vicky Damonte says the school's 1,258 students use the buildings all the time. "Just the regular daily activities in the gym, gym activities, and in the multi-purpose room, sometimes we have meetings, that kind of stuff," she said. The multipurpose room is a large auditorium with a stage that doubles as a lunchroom with tables and benches that fold down from the walls. 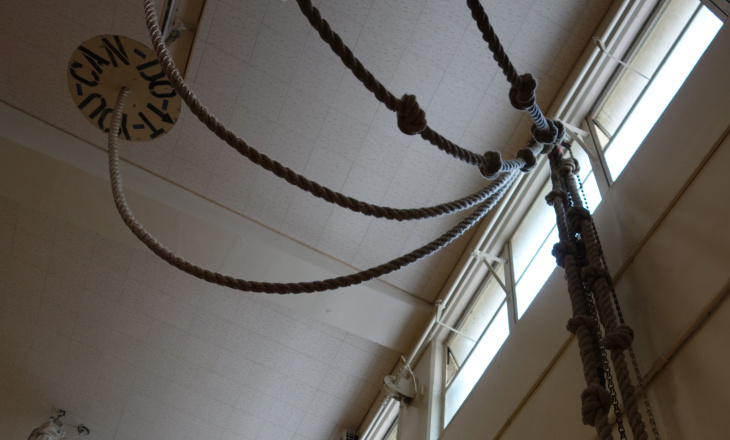 It sustained damage in the 1994 Northridge Earthquake and was closed until it and the gym got FEMA-funded retrofits in 1996. Despite that work, the buildings still made a list of the most at-risk structures in 2003, mainly because of its tilt-up construction. They're part of 667 buildings the district identified as needing seismic evaluation and possible retrofits because of their age, proximity to an earthquake fault or type of construction. The 19 most high-risk were all made of tilt-up concrete slabs. 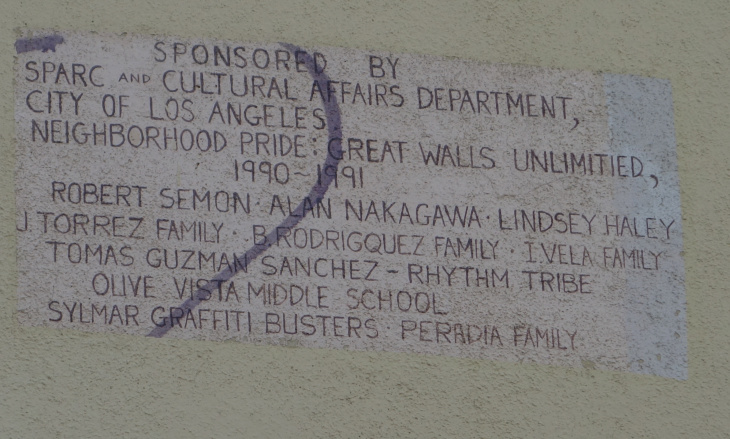 So far, the District has spent $19.1 million dollars retrofitting 17 tilt-up buildings on other campuses, including Bell, Carson, El Camino Real, Gardena, Huntington Park, and Jefferson high schools. 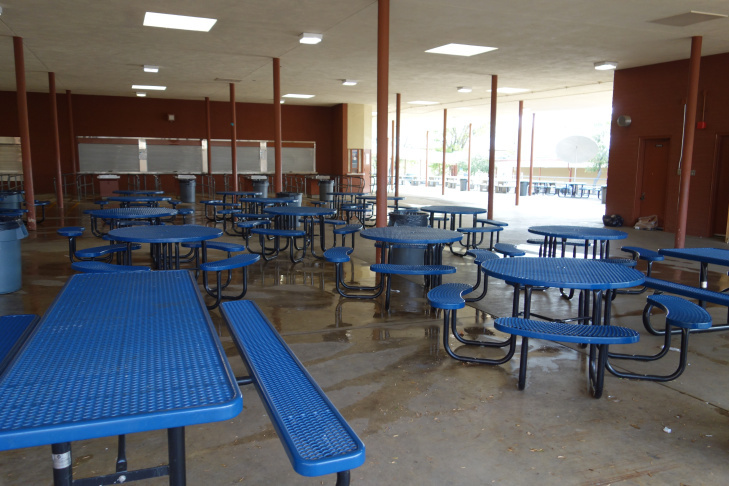 Irving and Virgil middle and Manhattan elementary schools also got the retrofits. Because Olive Vista had already gotten some repairs, it fell to last in line among the 19. But the Olive Vista buildings remain safe to occupy, said Mark Hovatter, chief of LAUSD's Facilities Services. "There's no sign of any structural failure. They've been through at least four major earthquakes; they're just not in compliance with the latest code," he said. In 2010, the school board approved seismic retrofits for the two buildings at Olive Vista. But those repairs never happened, because the requirements to get state funding changed, said Alix O'Brien, who heads up planning and design for LAUSD. Repair plans needed to be redone to include handicap accessibility and fire safety features. "They were required to do ADA compliance and fire life safety upgrade, and the funding they had was insufficient to cover all of that work," O'Brien said. The redesign was never done, and the Olive Vista retrofit project languished until last year, when the district decided to change direction. "We recommended to the board that the buildings be demolished because it would be more cost-effective to build the buildings new," O'Brien said. She says building new rather than retrofitting will enable the district to bring the structures up to today's seismic, access and safety codes at a lower cost. Unlike the cookie-cutter designs used by LAUSD 50 years ago that make so many campuses resemble each other, the district will commission a unique design for Olive Vista's gym and multipurpose room, O'Brien said. The price tag is $41 million dollars, more than twice what the district already spent on retrofitting 17 other tilt-up buildings on the high-priority list. Outside the Olive Vista multipurpose room, Esperanza Hernandez said her daughter is a year away from entering that school or choosing another campus — one for gifted children. She said she was concerned at the long delay in replacing the at-risk buildings. "I think that's not good, because they have to be safe," she said in Spanish. "They need to consider the importance of it because there are children in the school." Hernandez says her daughter needs to be safe and that the District should take the safety of all children at the school more seriously. She said the at-risk buildings at Olive Vista will factor into her decision on which school her daughter will attend next year.